The Brownie's Commercial Electric series of hookah systems can be used in locations where electrical service, either 115v or 230v is available. 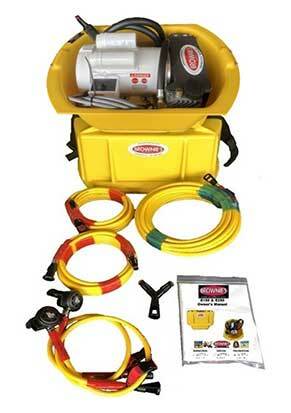 Ideally suited for maintenance and inspection situations, the system can also be used recreationally. The E150 and E250 models are marinized for more durability in wet environments. The E140 model is available in 115v only. If your job calls for an electric compressor, call for the Brownie’s™ range of Commercial 110 volt AC or 220 volt AC systems. Choose from a one or a two person system, both capable of extended run times. Stay until the job is done! 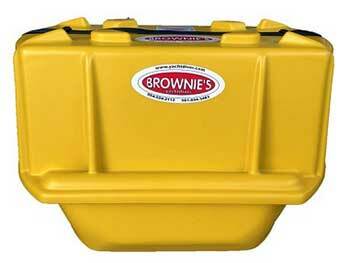 * All Brownie's™ Electrical hookah diving systems are deck mount only and do not include a flotation tube. 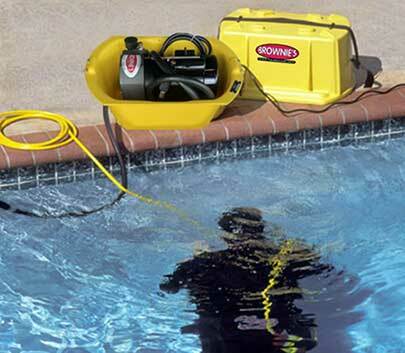 Includes: motor/compressor,storage case with impact resistant HDPE cover, 6 foot power cord, air intake filter, easy to clean in-line particle filter, 10' heat hose, 60' diver hose with QRS fittings, basic tow belt, Brownie’s second stage hookah regulator, and Owner’s Manual. 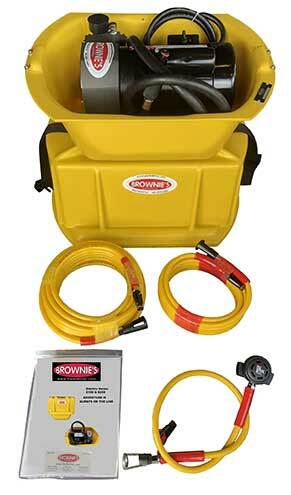 Brownie's patented Drop Weight Cummerbelts, and deluxe mesh gear bag. Includes: motor/compressor, storage case with impact resistant HDPE cover, 6 foot power cord, air intake filter, easy to clean in-line particle filter, 10' heat hose, 60' down line with QRS fittings, (2) 20' diver hoses, (2) basic tow belts, (2) Brownie’s second stage hookah regulators, and Owner’s Manual. Contact Us for more Brownie's Third Lung information.